Secluded beaches, luxury resorts, and a lush, tropical interior come together in Seychelles – an ocean playground perfect for your next adventure. 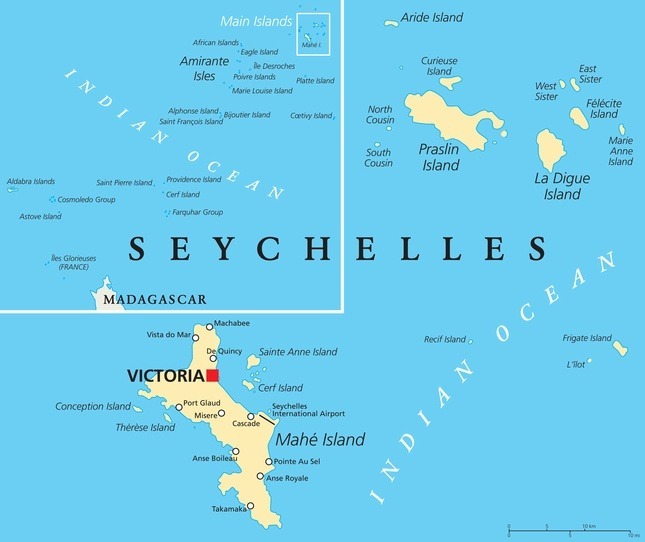 Seychelles is located in the Indian Ocean about 1500 kilometers off the coast of East Africa. Nearby island countries and territories include Comoros, Mauritius, Madagascar, Mayotte, and Réunion. There are two distinct seasons in Seychelles, with hotter weather between October and April and cooler temperatures from May to September. 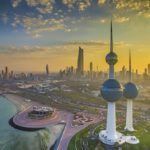 November and April are arguably the best months to visit, with pleasant weather and fewer crowds. You should expect quite a bit of rain most of the year. It’s not cheap to get to Seychelles, as round trip flights between Toronto and Mahé generally start at about $1700 Canadian. Be sure to shop around for deals and tourist packages to keep prices down. Buses are good for getting around the larger islands of Mahé and Praslin; however renting a car is the ideal way to explore (though some conditions can be sketchy and roads might have large drop offs). When it comes to traveling between islands, boats are plentiful while flying is a viable (albeit somewhat pricey) option too. Our first stop on this island adventure is Victoria, the small yet lively capital city. While the buzzing streets might not be why you came all this way, it’s worth seeing what the city has to offer. There are traditional markets, great food options, intriguing architecture, and more if you spend the time to look. It doesn’t hurt that the coastal location is as picturesque as they come. The ‘main’ island of the Seychelles (and largest), Mahé is where you’ll find Victoria, the majority of the population, the highest concentration of resorts, and (probably) the most to do in general. Water sports enthusiasts will find some of the continents best diving and snorkeling here, while the west coast is chock full of great beaches, resorts, and hotels. There is the Morne Seychellois National Park if you want a break from the coast – where you’ll find that Mahé has a surprisingly rugged and intriguing interior. In short, there’s enough here to occupy you for the entire vacation if you desire. 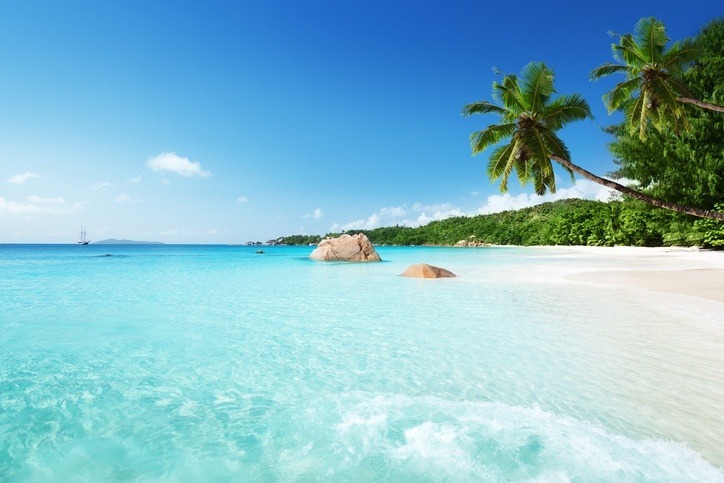 The second largest island in Seychelles, Praslin is a bit more relaxed than its aforementioned counterpart. 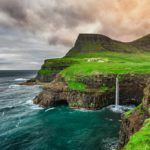 While it might not have a lot of people, it does have all the hallmarks of this fascinating country – namely a long coastline and lush interior. If you still need to be sold on Praslin, it’s compact enough that getting from point A to B is relatively hassle free, meaning you’ll have more time for classic island pursuits like sunbathing. 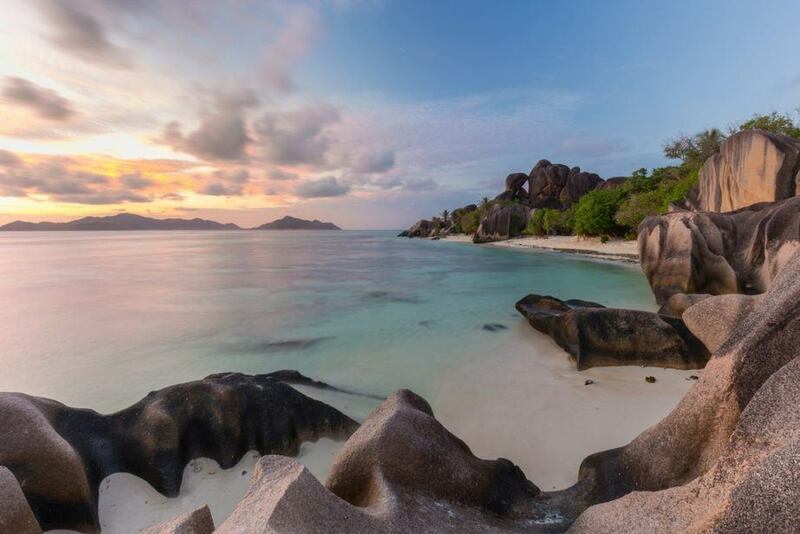 Are you planning a trip to Seychelles to escape from day-to-day life in a tropical paradise? Well if that sounds correct, La Digue might just be the place for you. It’s even less crowded than Praslin, with idyllic beaches, jade waters, and a large jungle interior. With all that though, it really is the lack of tourism that makes La Digue so special. You won’t have to worry about finding a spot for your towel here, with more than enough hidden coves and beaches to go around. 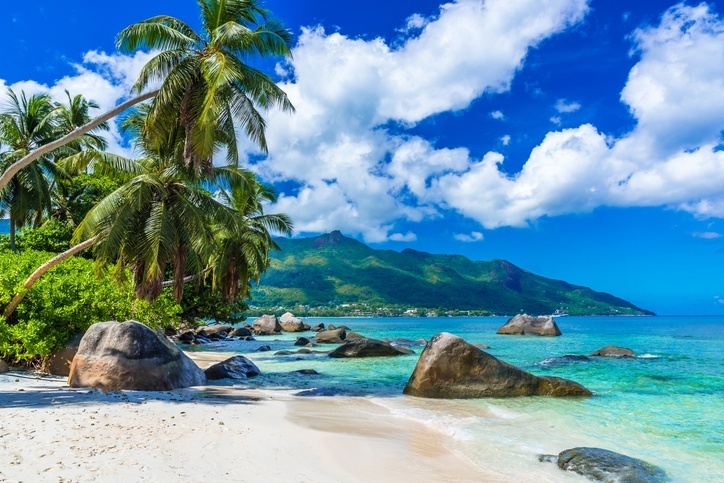 Who knows if the island will remain the hidden gem it is right now, but for the time being there is arguably no better place to be in Seychelles. On the other end of the spectrum, if your idea of an ideal vacation includes the words “exclusive”, “luxury”, and “glamorous”, then Frégate is the island for you. It has mostly developed a rep as the go-to retreat for the wealthiest among us. If it’s in your budget, a jaunt to the private resorts will reward you with some of the world’s best beaches (Anse Victorin and Anse Macquereau to name a couple). 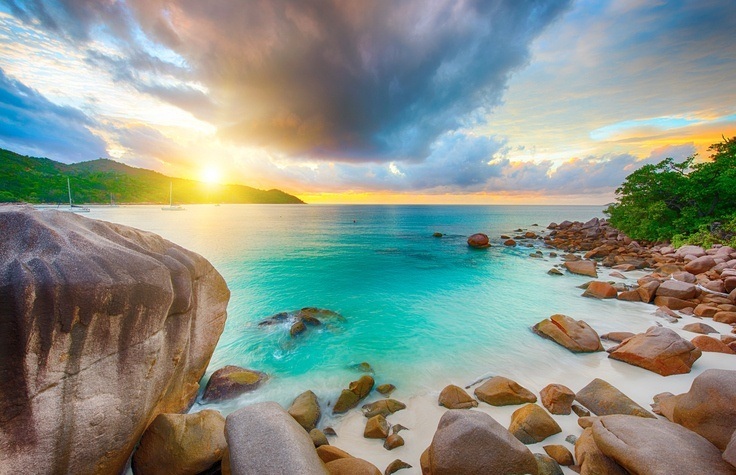 It’s not the most attainable of Seychelles many islands, but it’ll be a vacation you’ll never forget. The most commonly spoken language is Seychellois Creole (which is largely French based with some English vocabulary mixed in). More than half the population speaks French while English is just under 40%. 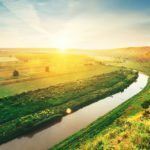 In other words, learning some local phrases would help but you should be able to do with English in a pinch in the well-traveled parts of the country. Prices in Seychelles vary considerably depending on whether you’re hunkered down at a luxury resort or staying away from the crowds on La Digue. Overall though, it can be kind of pricey with an average lunch coming out to around $20 Canadian. As with any country, you can save a lot of money if you spend smart! Seychelles is a largely safe country with normal security precautions recommended throughout. That being said, petty crime can happen in heavily touristed areas. You should avoid any demonstrations, as they could turn violent. While roads are in decent condition, some are very windy and feature sharp drops with no barriers. Be very careful if driving (especially after dark). For more on travel safety, check out the Canadian Travel Advisory for Seychelles. 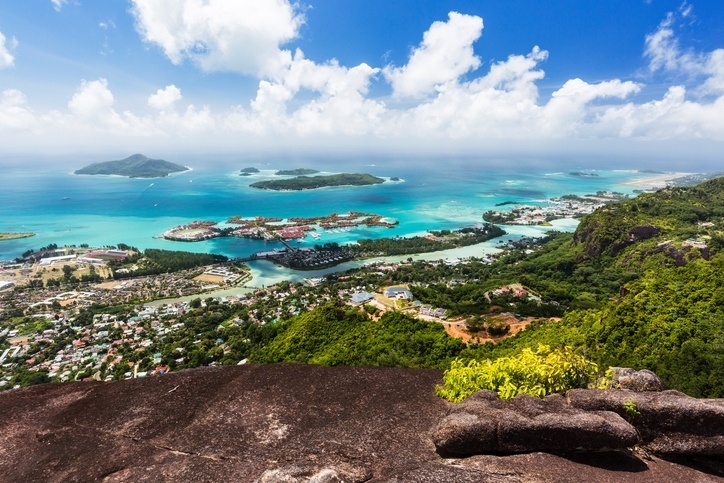 You can learn more about Seychellois history and culture in the Country Profile as well as its currency with our Spotlight. For more information, check out the official Seychelles tourism site.